In recognition of the American Legion’s 100th anniversary as a national organization, Columbia American Legion Post 581 honored five local World War II veterans on Saturday for their service to this country. 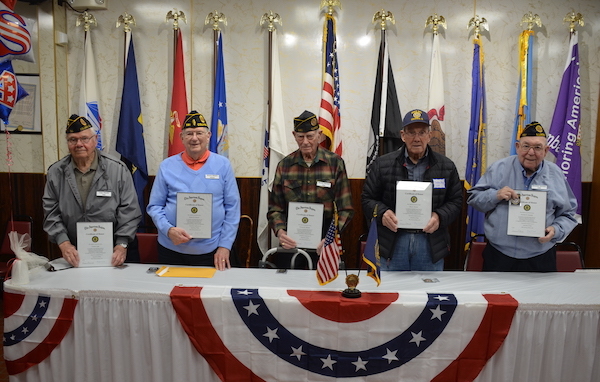 Each of the veterans offered accounts of their service and were presented certificates. Robert W. Brown, 92, said he was born in Modoc and graduated from Red Bud High School in 1945 before joining the U.S. Army Air Corps. 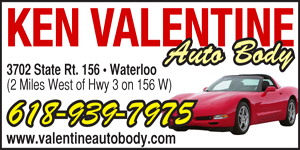 …To read the full article, pick up the March 27 issue of the award-winning Republic-Times newspaper. To subscribe, click here. For a list of rack locations, click here.